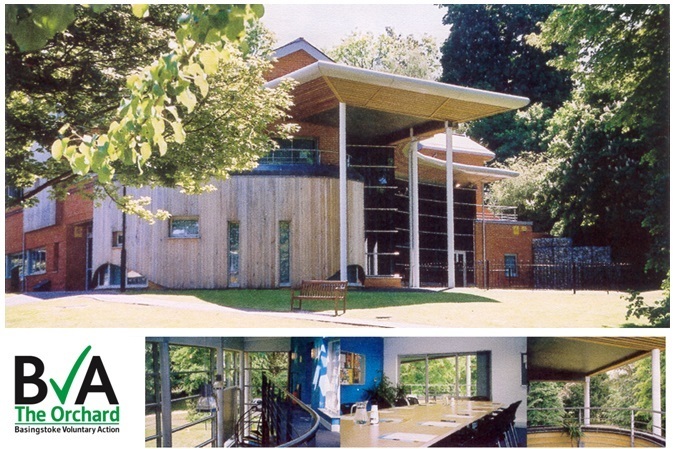 The Orchard is a modern design 3 storey building located on the edge of the memorial park alongside the civic offices and providing well-appointed accomodation, together with first class meeting and conference facilities. Conveniently positioned within less than half a mile from junction 6 of the M3 motorway and 10 minutes walk from Basingstoke town centre and train station, the building is home to Basingstoke Voluntary Action and a wide range of local Charities. A number of rooms are available for hire for meetings or training events. For more details on what we have to offer and how to book please visit the Rooms for Hire section. We occasionally have office space available for rent by local charities and voluntary groups. If you would like to know what is currently available please visit Office Space or contact us by email or telephone.